The Indiana Harbor Belt began as a cooperative venture jointly owned by the New York Central (51%) and the Chicago, Milwaukee, St. Paul & Pacific (49%). Today its ownership remains split between Conrail Sharted Assets Operations and Canadian Pacific Railway. Much like the Elgin, Joliet & Eastern it forms a crescent-shaped belt around Chicago, providing connections with most of the railroads in and around the city. 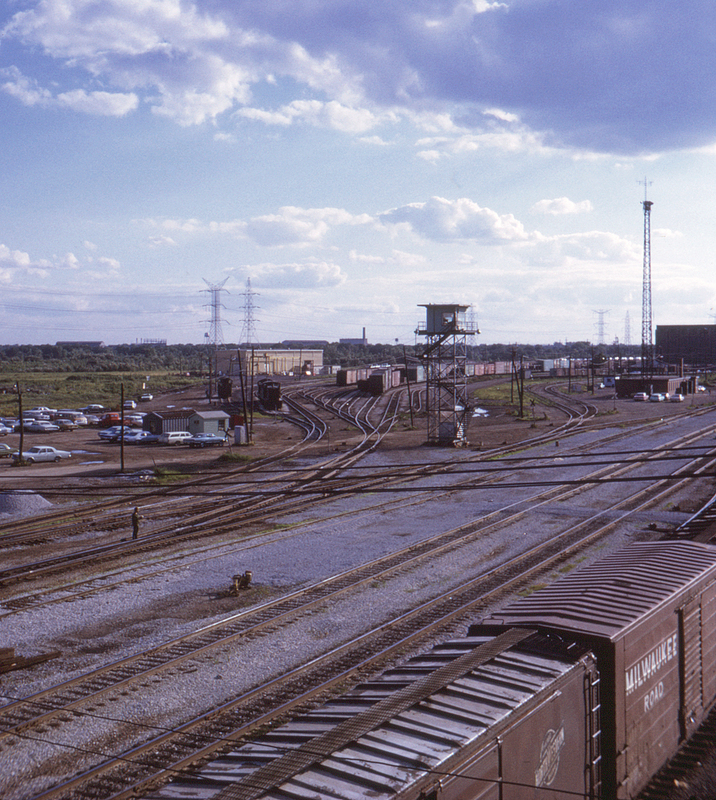 Blue Island, Illinois, located south of Chicago, was and is a major railroad hub, including the Rock Island's Burr Oak Yard and the IHB's Blue Island Yard, seen here from the South Halsted Street bridge looking west.